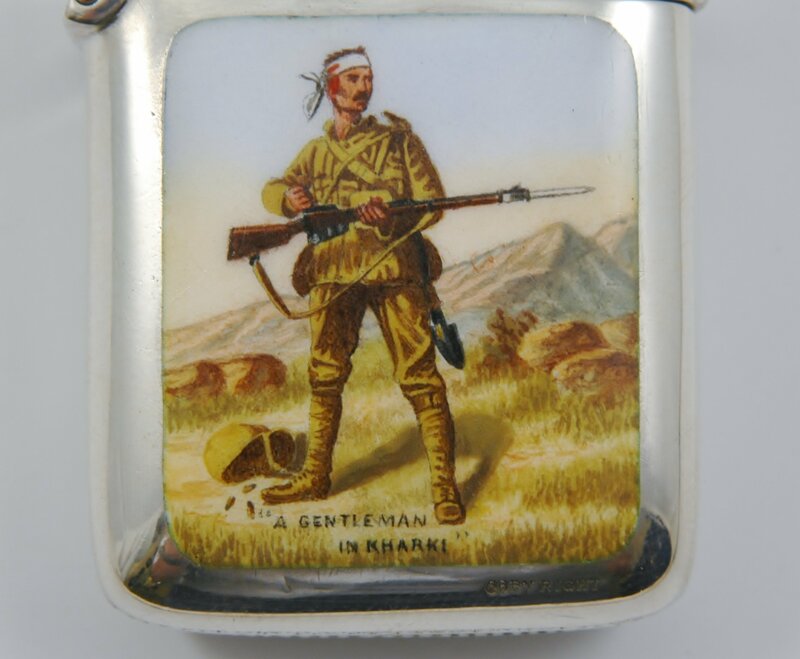 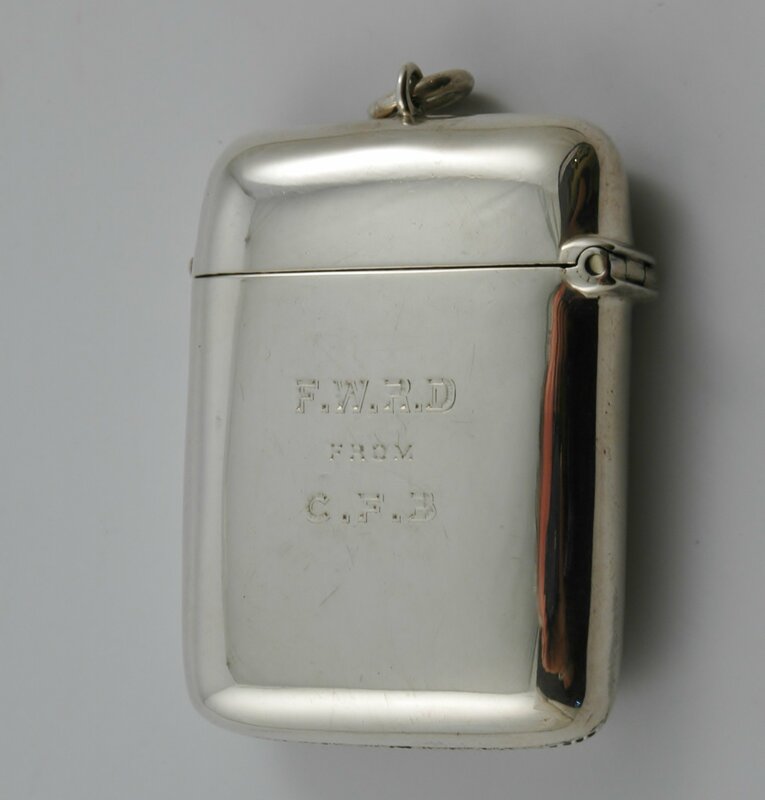 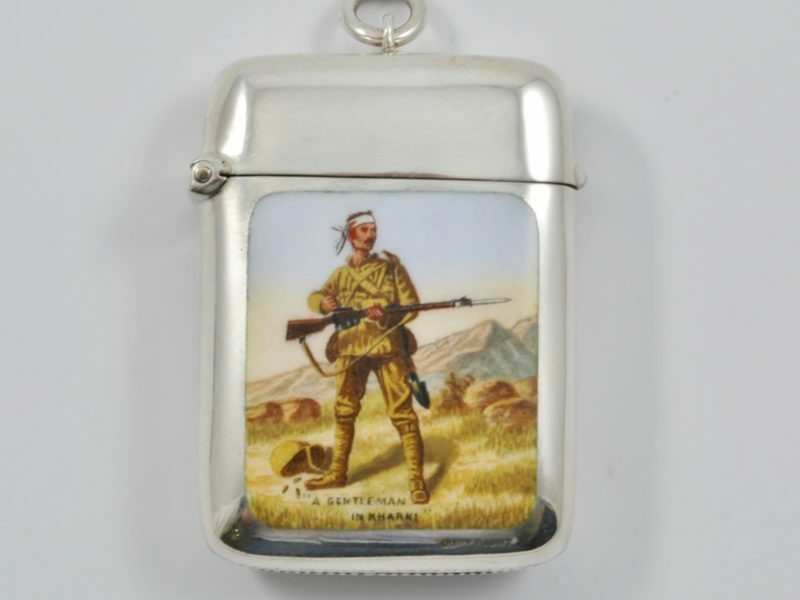 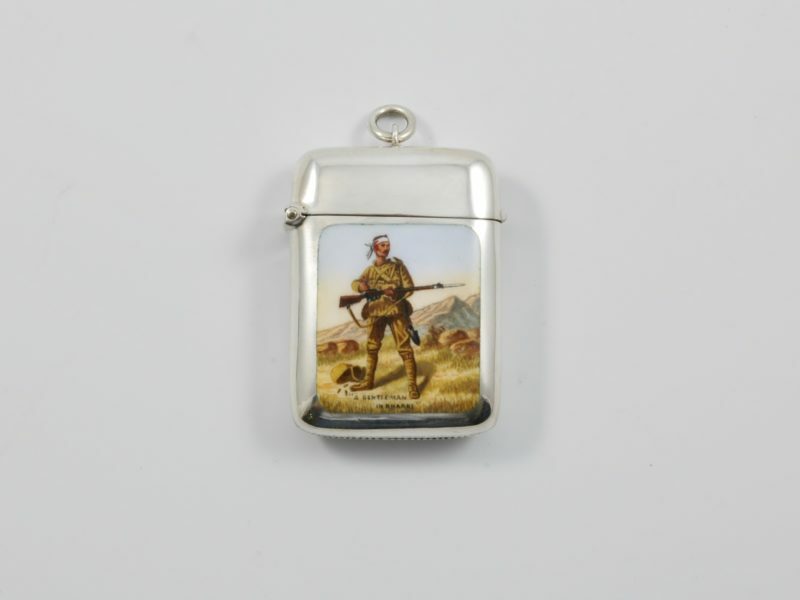 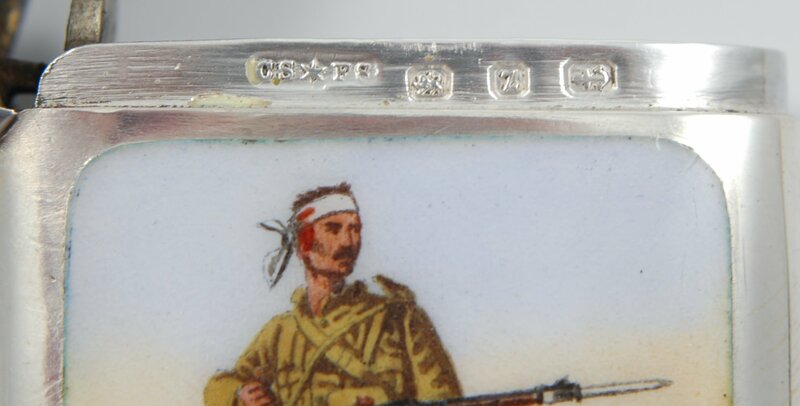 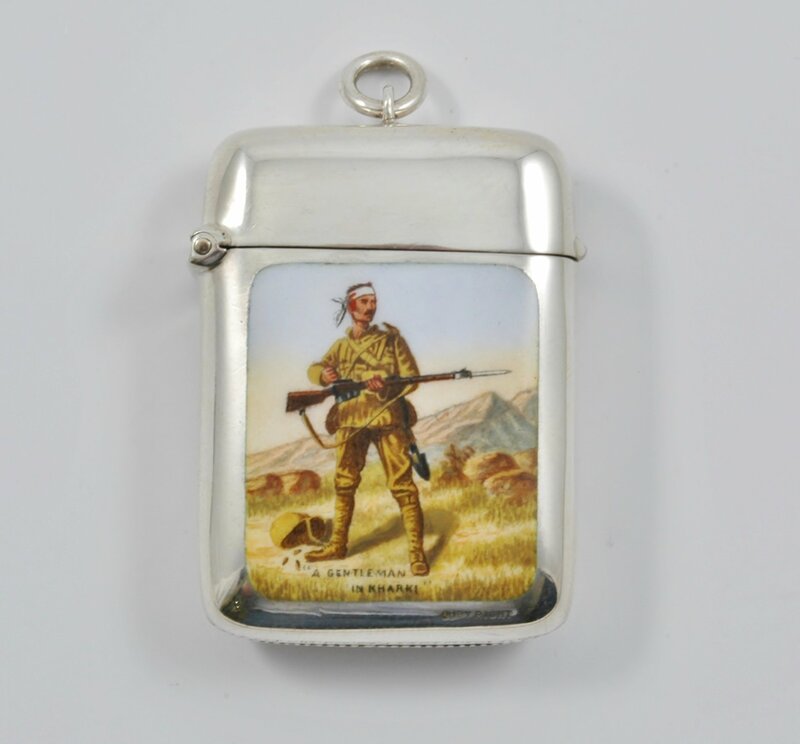 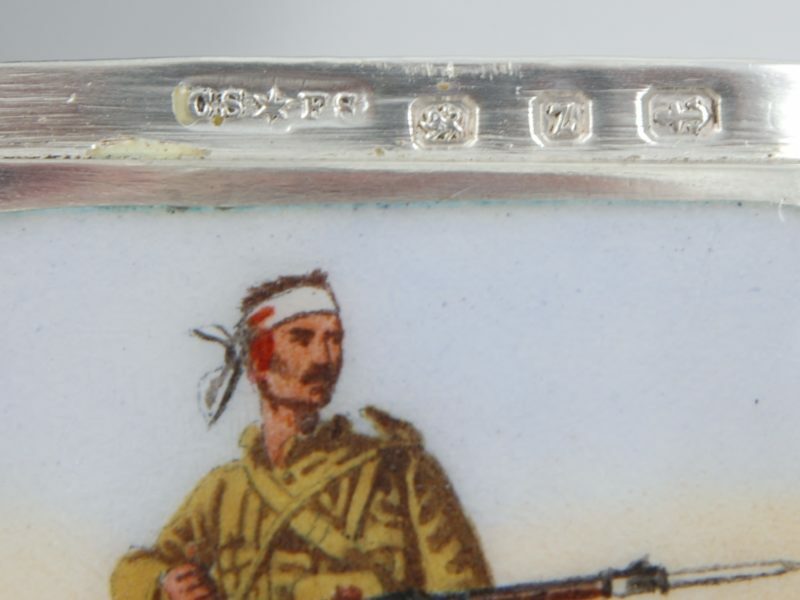 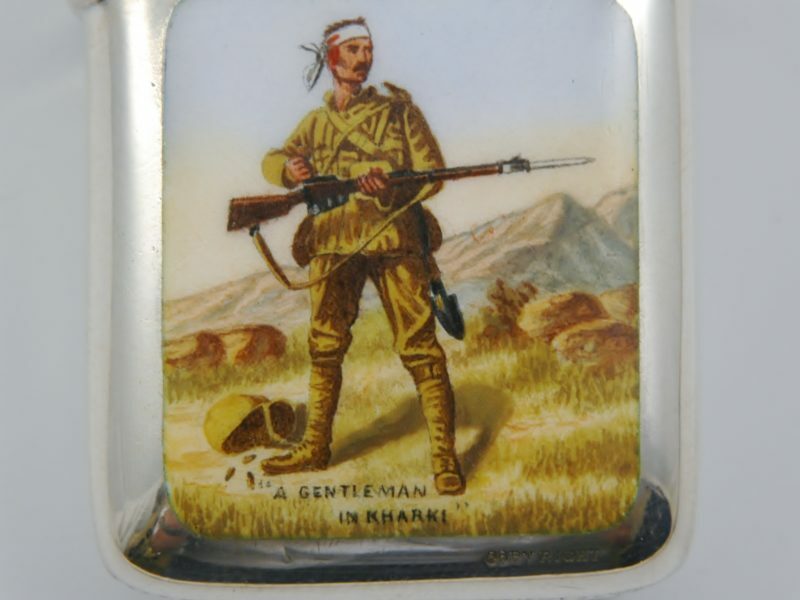 English silver and enamel Boer War vesta case marked for Birmingham 1899 the front enamelled with ‘A Gentleman in Khaki’. 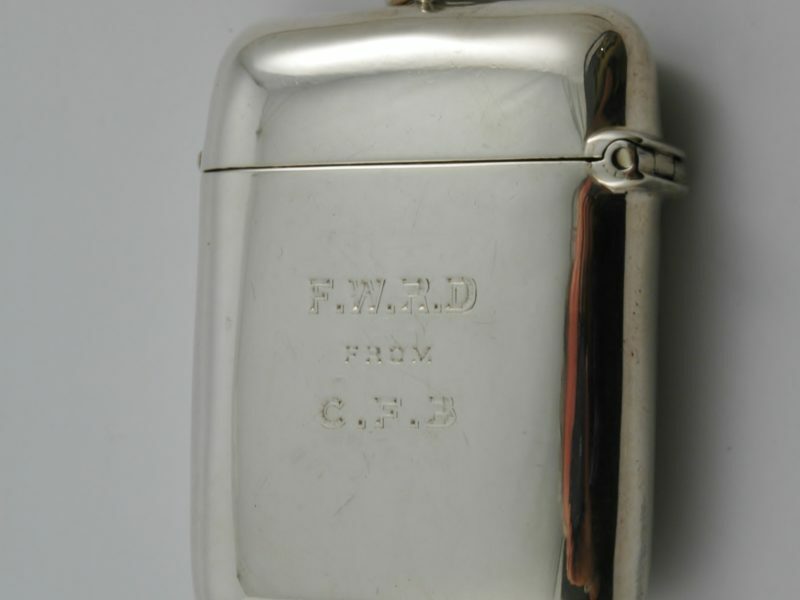 Made by Cornelius Desormeaux Saunders & James Francis Hollings (Frank) Shepherd. 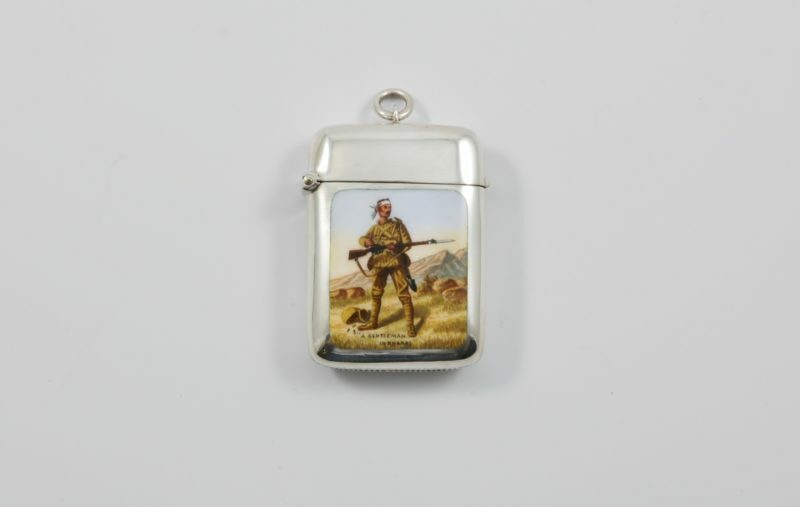 Dimensions: 5cm tall by 3,5 cm wide.